2. 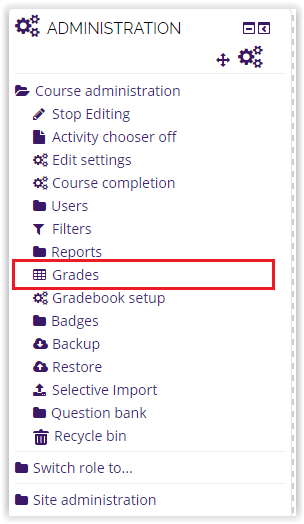 In the Administration block, select Course Administration | Grade. 3. 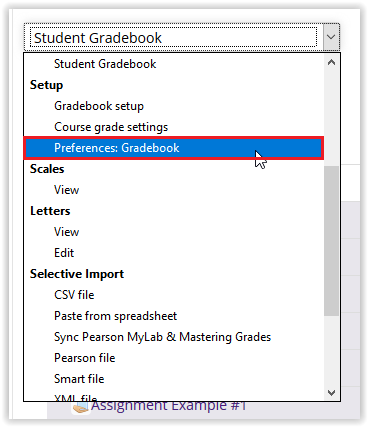 Use the dropdown menu at the left-hand side of the screen to find Preferences: Gradebook under the heading labeled Setup. 4. 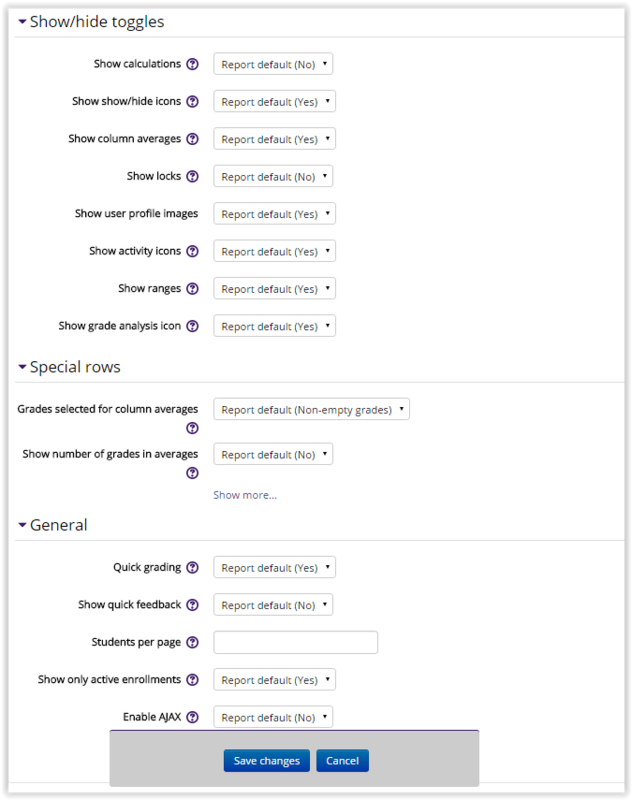 From this page, you can make changes to your Gradebook Preferences. 5. When finished, click Save Changes at the bottom of the screen.